Since the Sept. 11, 2001 attacks, when most people in the United States hear the word “terrorism”, they think of Muslims. But terrorism comes in many forms. For example, the Global Terrorism Database (GTD) includes the attack by Frazier Glenn Miller, a white supremacist and former grand dragon of the Ku Klux Klan, on a synagogue in Overland Park, Kan.; Robert Dear’s attack on Planned Parenthood in Colorado Springs; and Wade Michael Page’s attack on a Sikh Temple in Wisconsin, along with many other lesser-known attacks. In a recent study, researchers of Georgia State University found that the news media do not cover all terrorist attacks the same way. Rather, they give drastically more coverage to attacks by Muslims, particularly foreign-born Muslims – even though those are far less common than other kinds of terrorist attacks. In total, there were 89 attacks committed by different perpetrators in the United States during the five-year period they examined. Between 2011 and 2015 in the United States, Muslims perpetrated 12.4 percent of those attacks. They then searched for media coverage of each attack from U.S.-based print sources in LexisNexis Academic. 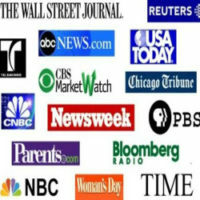 Since many Americans get their news online, they supplemented the print media with coverage from CNN.com. Each article the researchers counted had focused primarily on the act of terrorism, its perpetrators or the victims, and it had to appear in a U.S.-based media source between the attack date and the end of 2016. The researchers found 2,413 news articles that met their criteria. Controlling for target type, fatalities, and being arrested, attacks by Muslim perpetrators received, on average, 449% more coverage than other attacks. In real numbers, the average attack with a Muslim perpetrator was covered in 90.8 articles. Attacks with a Muslim, foreign-born perpetrator were covered in 192.8 articles on average. Compare this with other attacks, which received an average of 18.1 articles. Given the disproportionate quantity of news coverage for these attacks, it is no wonder that people are afraid of the Muslim terrorist. At his first address to a joint session of Congress last month, Donald Trump reiterated his administration’s focus on “radical Islamic terrorism.” A few weeks earlier, his administration had provided a list of terrorist attacks it claimed were under-reported by the news media. The list primarily included attacks by Muslim perpetrators. The implication was clear: Muslims do more harm than the media want you to believe. Obviously, such claims are politically motivated, and the recent study suggests quite the contrary. It seems that the Trump administration is gearing up for more military adventure by stirring such nonsense claims.